There are a lot of great movies about food: Julie & Julia, Fried Green Tomatoes, Eat Pray Love, Tortilla Soup… just to name a few. When I first made this dish, though, I was reminded of my all-time favorite, Pixar’s Ratatouille. I’m not sure why the delightful cartoon sprang into my mind while cooking. Was it the adorable rat, Remy? Or the aspiring young chef, Linguini? What I do know is that watching Ratatouille and cooking this dish both bring a smile to my face (and my stomach!). I’ve spent years perfecting my chunky spaghetti sauce, but in all that time, it never occurred to me to try a simple sauce with meatballs at center stage. When I came across this recipe in the May (2014) issue of Cooking Light, I knew I had to try it right away. Given my evening time constraints, this easy, quick recipe was sure to be a keeper. Begin by heating a large stock pot filled with water only – no oil or salt. 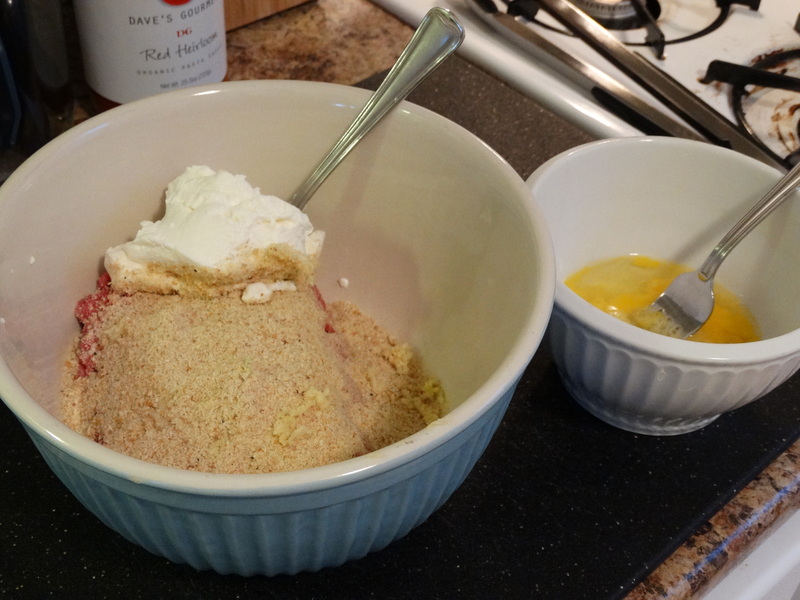 While you are waiting for the water to boil, put 1/4 cup grated Parmesan cheese, 1 cup bread crumbs, 2/3 cup part-skim ricotta cheese, 1 pound ground sirloin, 2 beaten large eggs, and 3 -4 minced garlic cloves (I used my garlic press) into a medium bowl. 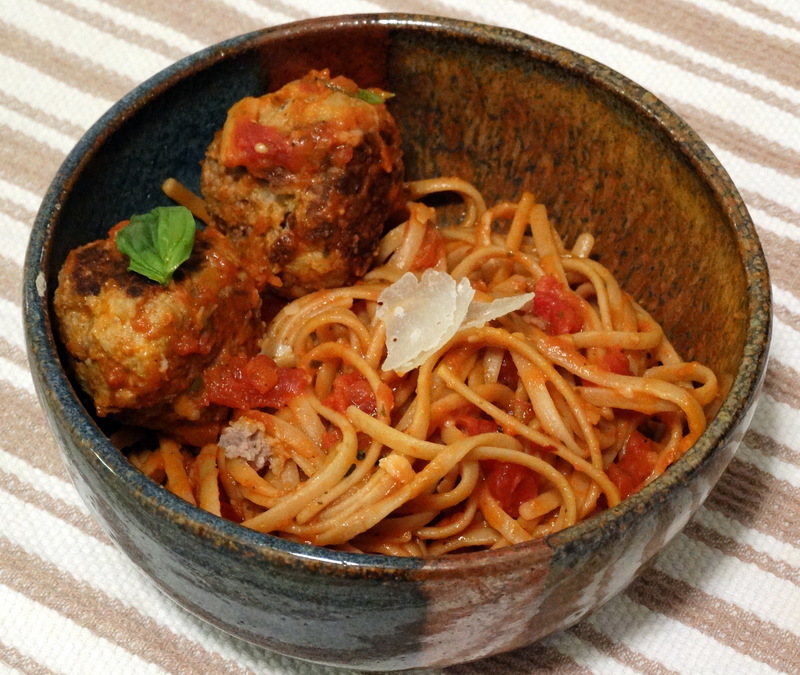 The recipe doesn’t call for spices in the meatballs, but I added some anyway – a healthy pinch of sage, thyme, oregano, and parsley. 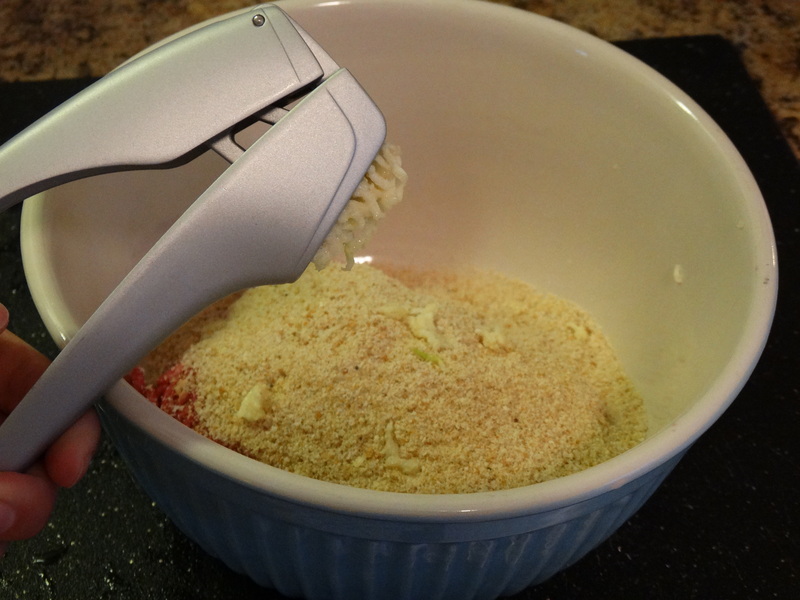 Using your hands, combine the ingredients together until just mixed. 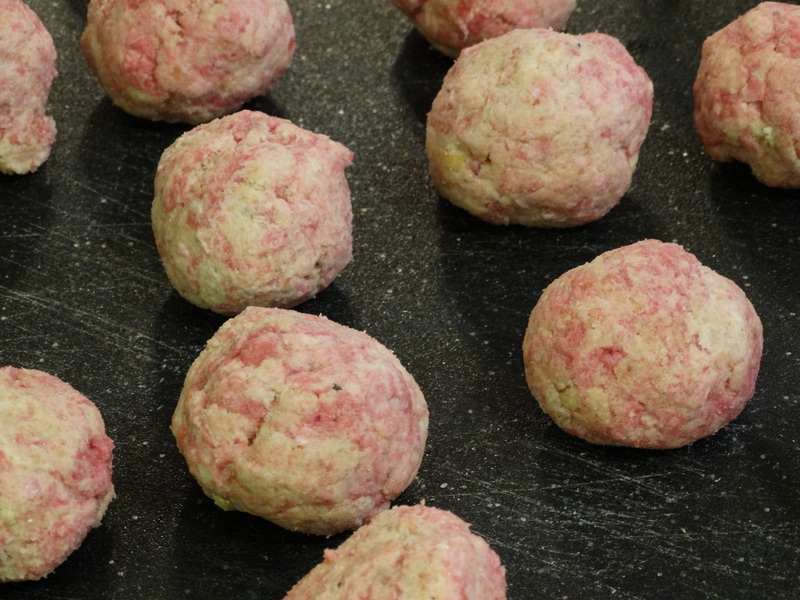 Don’t over work the meat – doing so will make the meatballs tough. 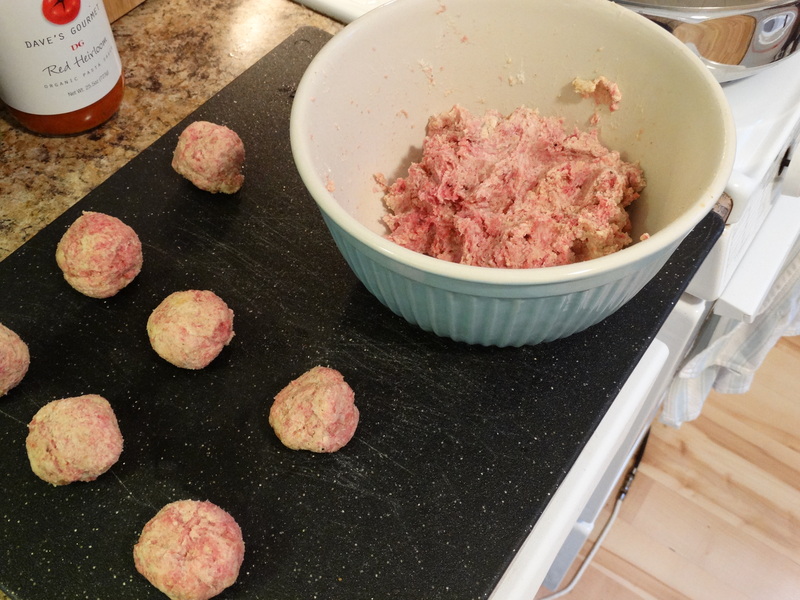 Next, shape the meat mixture into 1″ – 1-1/2″ balls. Drop 12 ounces of whole wheat linguine noodles into the boiling pot of water. While they are cooking, heat a large skillet over medium-high head and coat it with cooking spray or oil. I used coconut oil. Once your pan is nice and hot, add the meatballs. 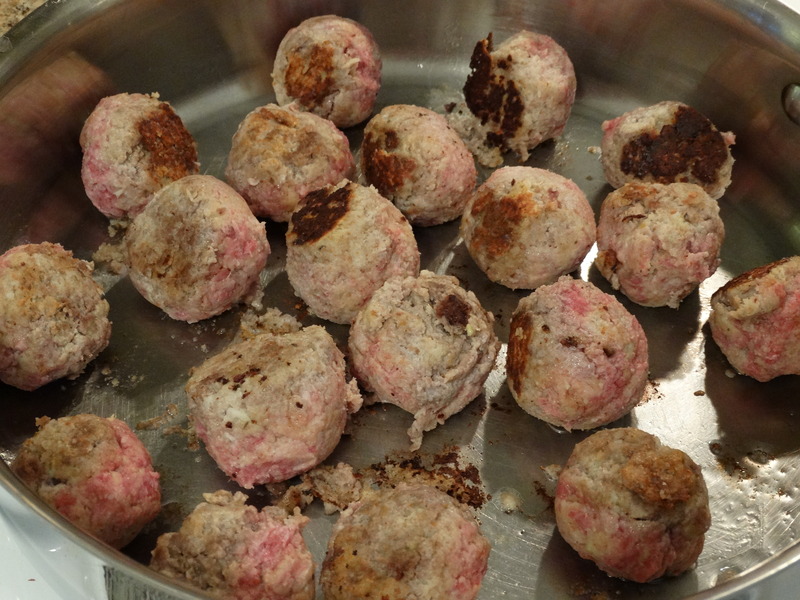 Cook your meatballs for about 6 minutes, turning them to brown all sides. As you can see below, mine stuck to the pan a little. But don’t worry! All of those little brown pieces can be scraped up later to add flavor and texture to the sauce. After 6 minutes, add 1 25-ounce jar of marinara sauce to your skillet. Reduce the heat, cover and simmer for 5 minutes or until your meatballs are cooked through. Scrape up the loose bits of browned meat from the bottom of the pan. Turn off the heat. 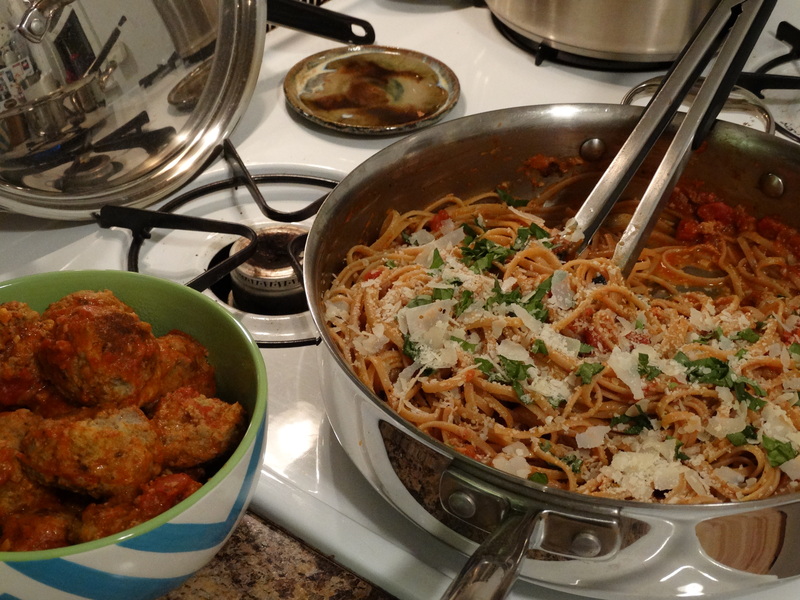 While your sauce is simmering, check your pasta and drain when cooked to your liking. I prefer mine al dente (slightly firm). 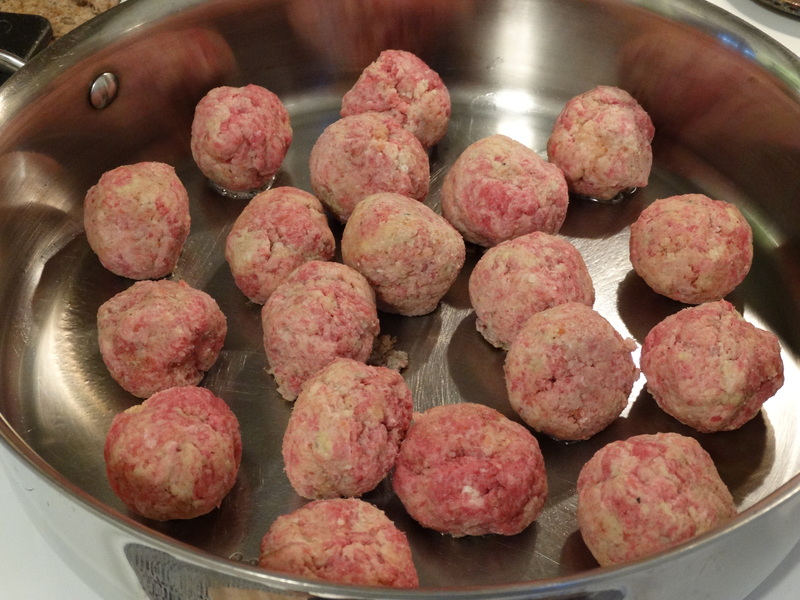 Using a slotted spoon, remove your meatballs from the sauce and set them aside. Add the cooked noodles to the sauce and toss to combine. Add your meatballs back into the pan on top of your noodles. Top your dish with a few fresh basil leaves and a bit of shaved Parmesan cheese. And now it’s time to eat! Enjoy! 1) Boil water in a large stock pot and cook pasta according to the package directions, omitting any suggested fat or salt. 2) While the water comes to a boil, combine 1/4 cup grated Parmesan cheese, 1 cup bread crumbs, 2/3 cup part-skim ricotta cheese, 1 pound ground sirloin, 2 large beaten eggs, 3 – 4 minced garlic gloves, and a pinch each of sage, thyme, oregano, and parsley in a medium bowl. 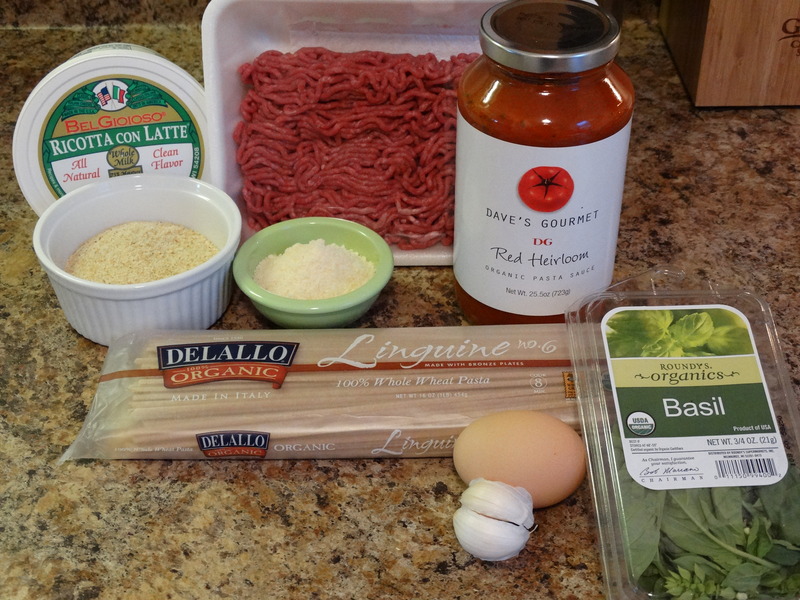 Shape the mixture into 1″ – 1-1/2″ meatballs. 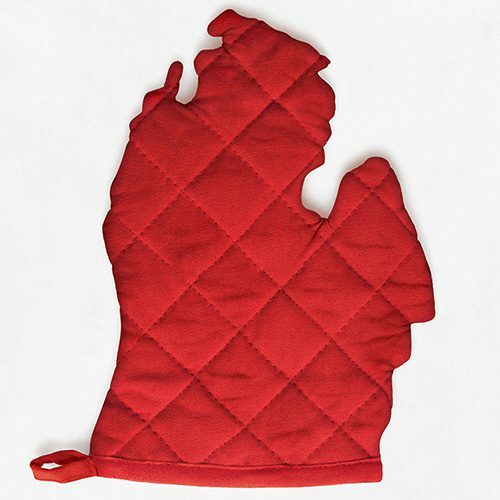 3) Heat a large skillet over medium-high heat and coat with cooking spray. Cook the meatballs for 6 minutes, turning to brown on all sides. Add marinara sauce, reduce the heat, cover and simmer another 5 minutes, or until the meatballs are cooked through, scraping the loose bits of browned meat up from the bottom of the pan. While the sauce is simmering, drain the pasta. 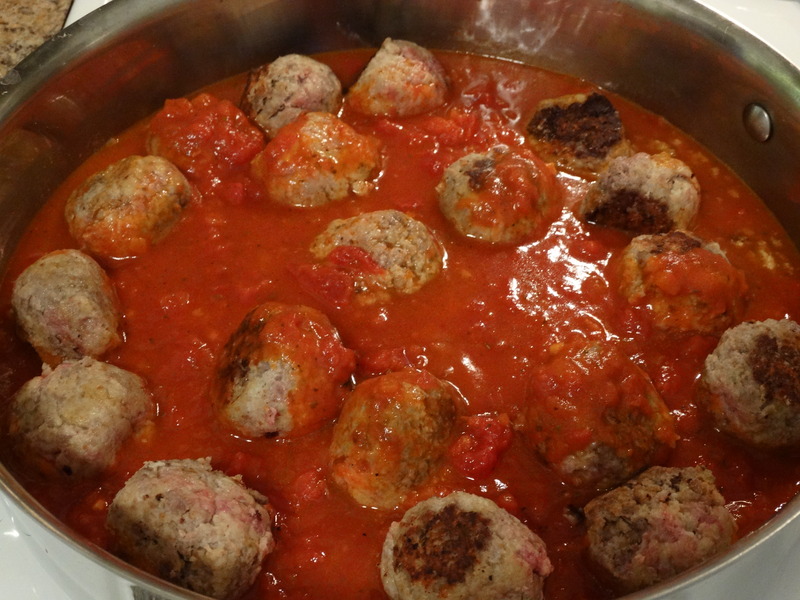 4) Remove the meatballs from the sauce using a slotted spoon, setting them aside. Add the noodles to the sauce and toss to coat. Add the meatballs back into the pan on top of the noodles. Add a bit of fresh basil and shaved Parmesan cheese. Serve and enjoy! We tried these out tonight! Delicious! Thank you for sharing the recipe Marta!